UPDATE JANUARY 2019: Tisserand have updated their packaging and products since this review was originally published, its still a brand I would recommend. The hand creams are now available with matching fragrance hand wash. I am probably not the only women in the world obsessed with hand cream. I usually have a tube in my handbag and another at work. I can not tolerate dry hands. The winter months are always the worst and if my hands dry out I will flare up with eczema. I am a fickle customer and I swap brands continually. I have been impressed by many but I am never 100% satisfied. For a hand cream to stand out it must be chemical free to reduce the chance of irritation and moisturise without leaving a greasy residue. My current favourite is Tisserand Aromatherapy hand & nail cream in Lavender. I am a huge fan of Lavender as I find it very soothing and relaxing. The natural fragrance in this product is perfect, it is a heady scent that makes the task of applying the cream a real pleasure. It is always a good pick me up when I am having a stressful day in the office. The cream has a good consistency not too thick but not too thin and as you massage into your skin it feels silky. It absorbs without leaving a residue and I find I do not have to re-apply regularly. It really does what it says on the tube “refreshing fragrance, this fast absorbing cream will leave the hands feeling intensely moisturised and super soft”. I could not describe it any better. There are two other varieties of hand cream available - Intensive Oil Rich and Rejuvenating Wild Rose & Lemon Leaf. 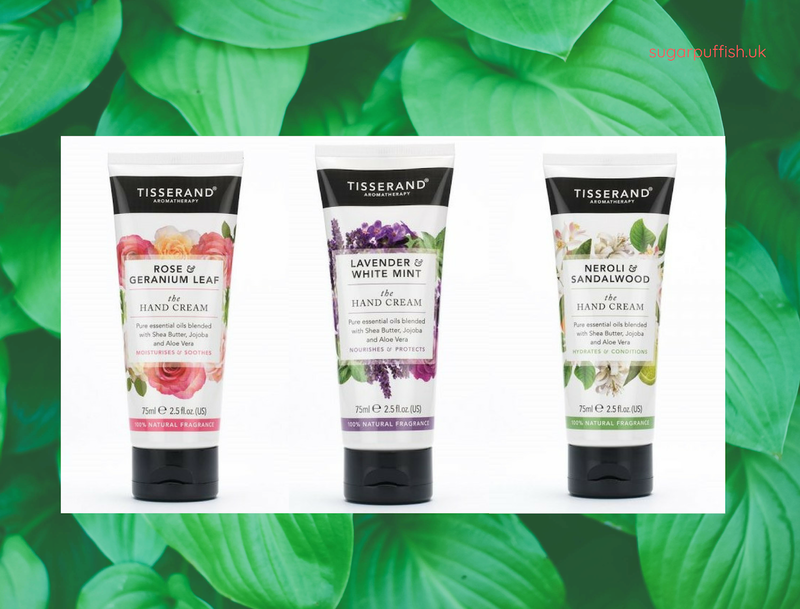 Tisserand hand creams are organic, free from synthetic fragrance & parabens and suitable for vegans. What is your favourite hand cream? Have you tried Tisserand products? It sounds lovely!! :) I don't have a fave hand cream, but do love the elf cuticle pen. Sounds really good! I have to confess, my hands are the least cared part of my body after my feet! @Vintage & Su thank you for your comments. @Vintage Makeup I haven't tried the elf product. I think Lavender is relaxing as well and I don't like that greasy feeling either. This sounds great! I love lavender. I mentioned you and my prize winnings on my mailbox haul blog post! Thank you so much!